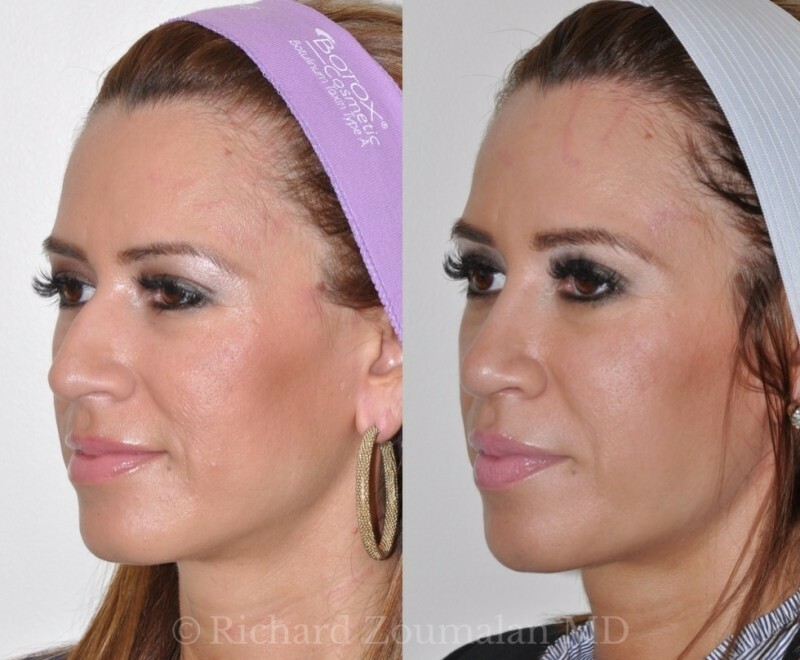 Dr. Zoumalan is recognized as a world-class rhinoplasty specialist. 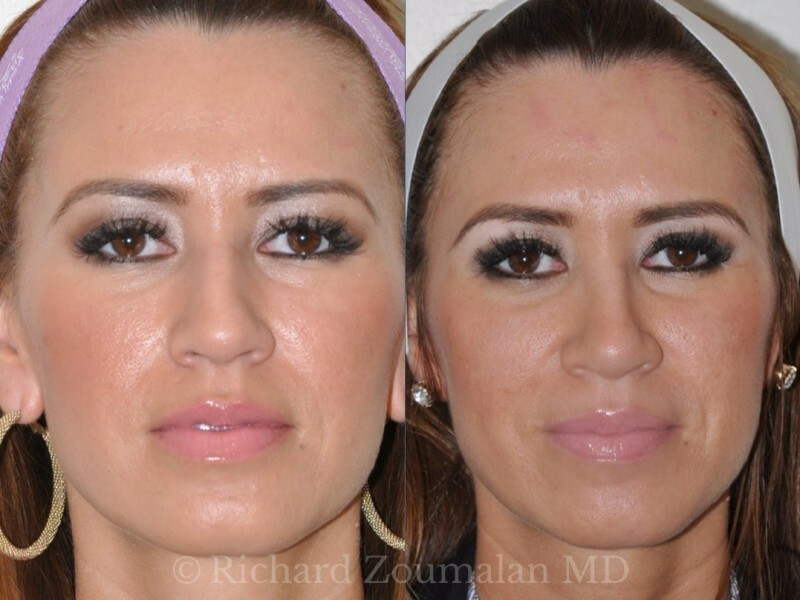 He has a referral-based practice which is built on patients meeting their cosmetic goals. He is known for his natural appearing results. 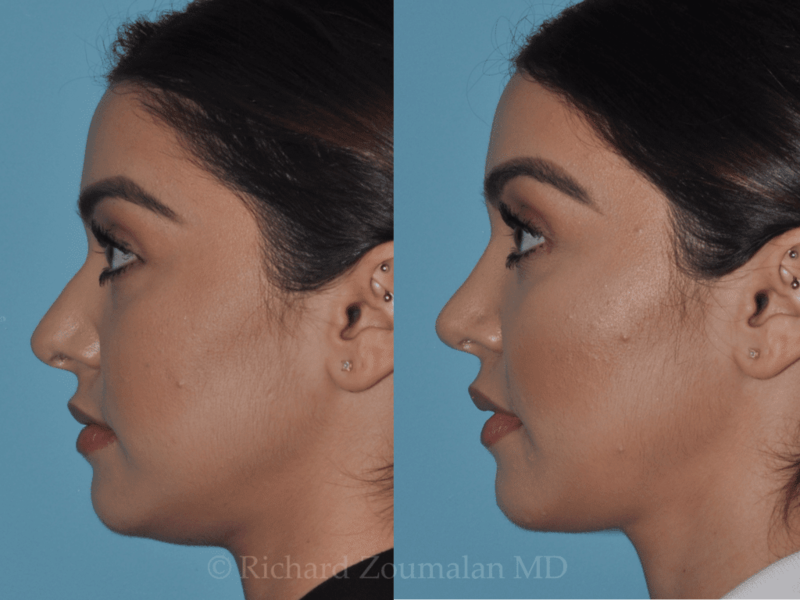 Along with being a local referral center for rhinoplasty, Dr. Zoumalan has a national and international clientele who travel specifically to Beverly Hills to have their noses sculpted by him. 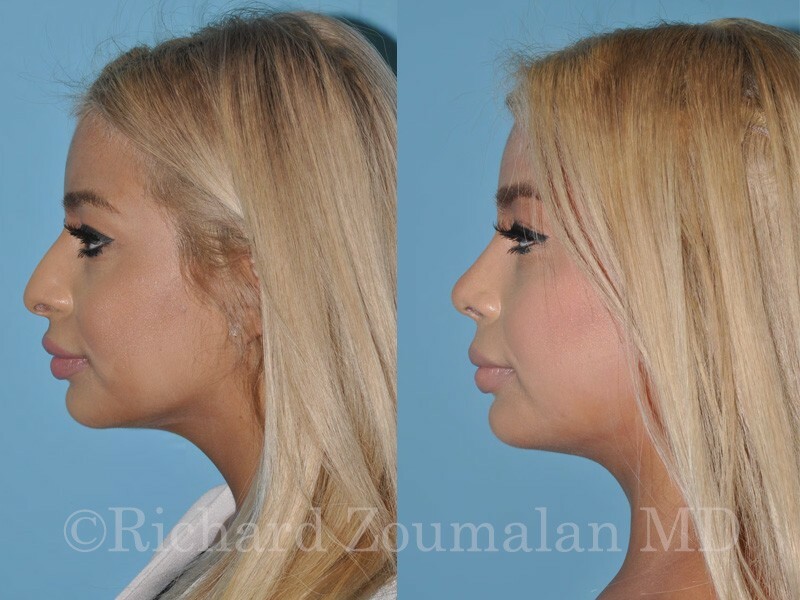 Because the nose is an organ which gives both form to the face as well as provides function by breathing, this is a highly delicate surgery which Dr. Zoumalan performs with a unique level of artistry and medical judgment. Similar to a classical painting, there must be harmony between the nose and the rest of the face. 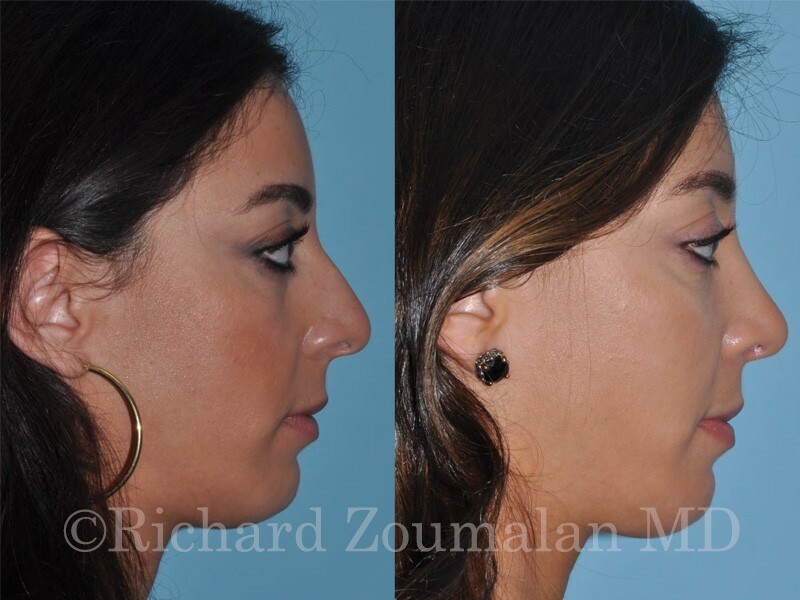 The goal of Rhinoplasty is for one to appreciate your eyes and your beauty and not have any attention drawn to aspects of your nose. 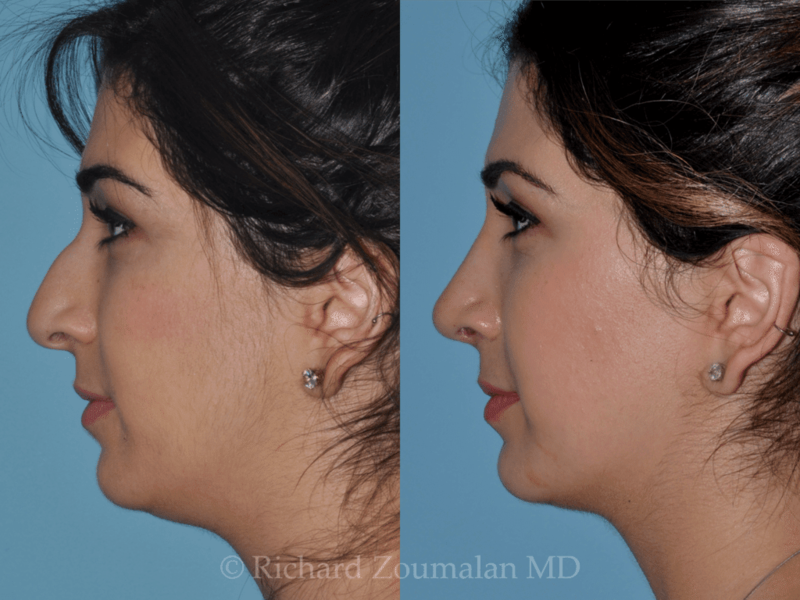 Dr. Zoumalan is a leader in the field of understanding how breathing is affected by Rhinoplasty. He has performed extensive research on this subject and is one of few surgeons in the world to ever publish medical research studies on this topic. With this knowledge, he structures the outside and inside to enhance both the form and function of your nose. His goal is to give you a nose that looks natural and breathes naturally for a lifetime. During your first meeting, Dr. Zoumalan will want to understand your goals and expectations. He wants to know you as a complete human being. After taking some time to get to know you, he will use a state-of-the-art imaging program to show you how your nose will look after surgery. 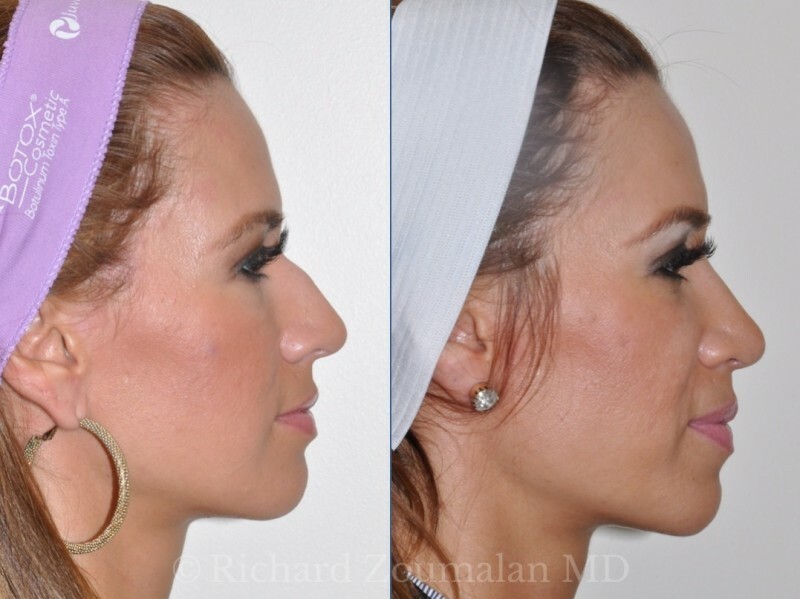 Often patients don’t know how much their profile can improve from Rhinoplasty. The ability for you to see this is a powerful tool that can help decipher your goals. 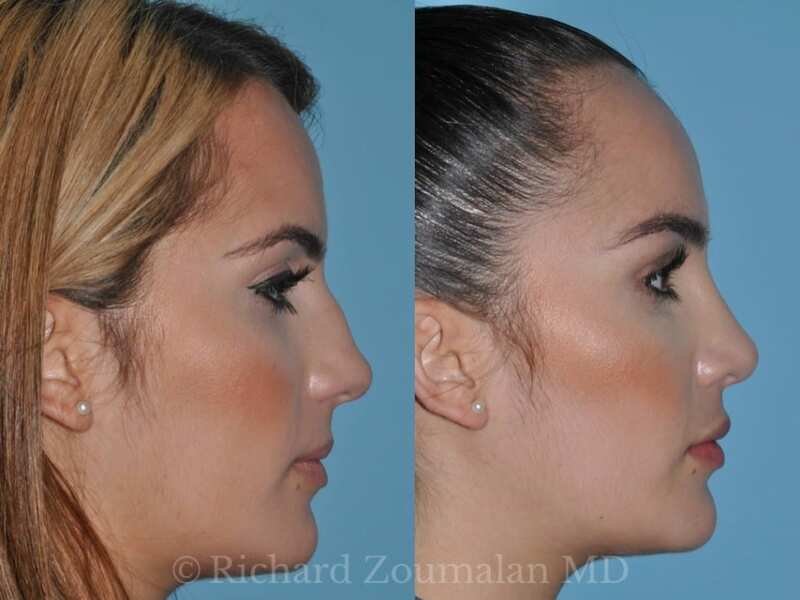 Rhinoplasty in Los Angeles by Dr. Zoumalan is a unique experience in which Dr. Zoumalan will walk you through every step of the way. 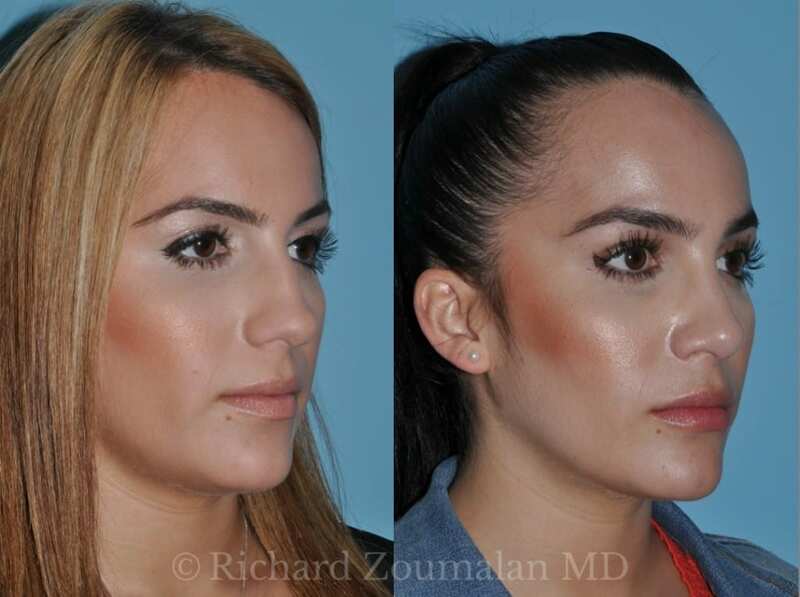 During your surgery, Dr. Zoumalan will artfully reshape your nose while you are under the care of experienced anesthesiologists at a Beverly Hills surgical center which has the highest level of accreditation and provides unparalleled level of care. After surgery, you will have a light splint on your nose for a week. 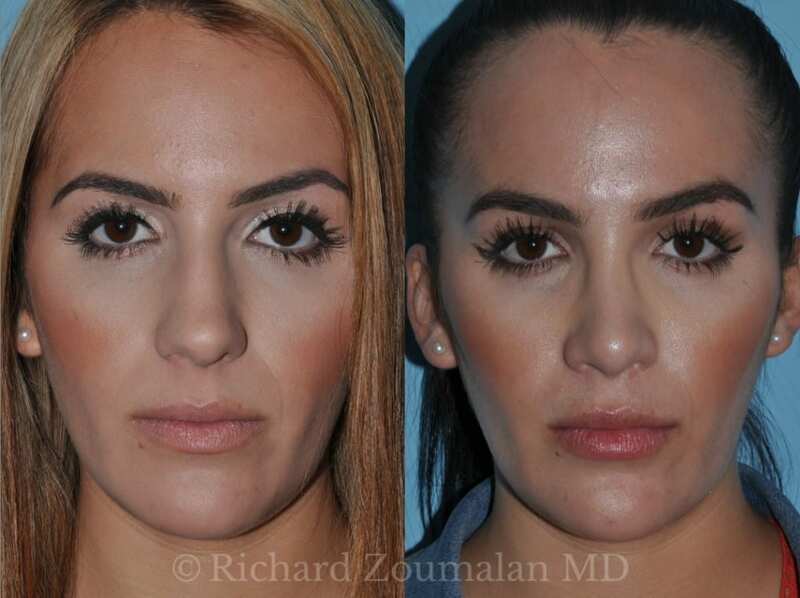 Dr. Zoumalan uses a combination of unique surgical methods and holistic methods so that most people can go to work or a social gathering one week after surgery. 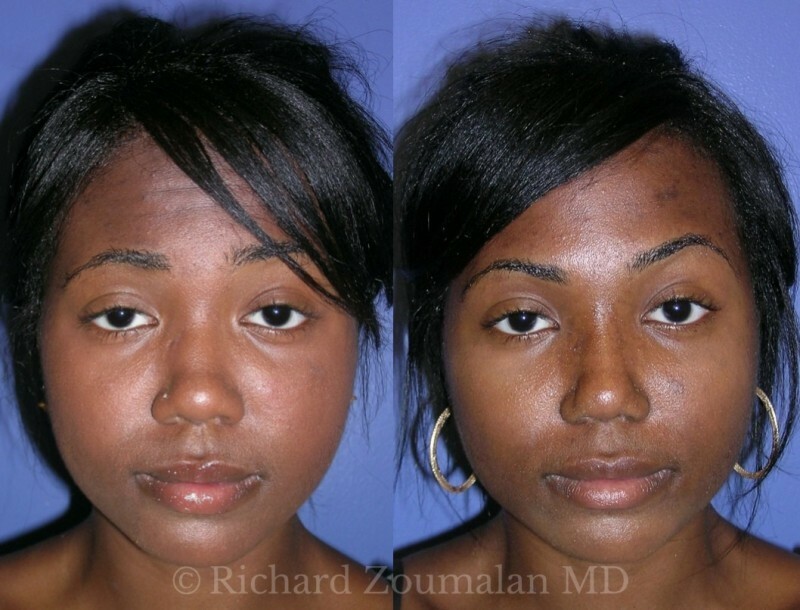 This is a 23 year old woman who wasn’t happy with the appearance of her nose. She also experienced multiple soccer-related injuries to her nose and had a badly deviated septum which made it impossible for her to breathe from one side. She had trouble sleeping and also had continued infections because of inability to move air and clear her nose and sinuses. 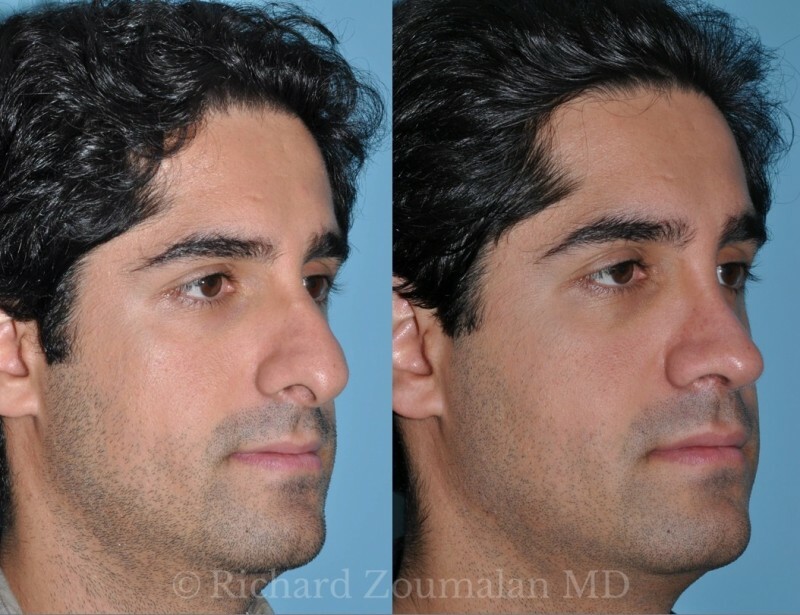 This male desired cosmetic and functional Rhinoplasty for a better looking and breathing nose. This is his nose before and after surgery. You can see the change in the overall shape of his nose. He is able to breathe much better after surgery as well. 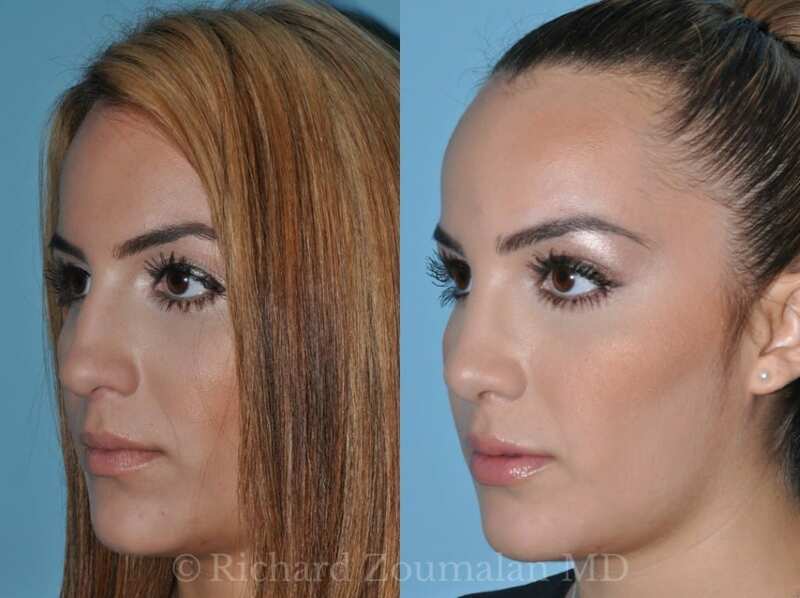 This woman underwent cosmetic Rhinoplasty because of her concerns over her hump (bump). The after photos were taken 3 months after surgery. 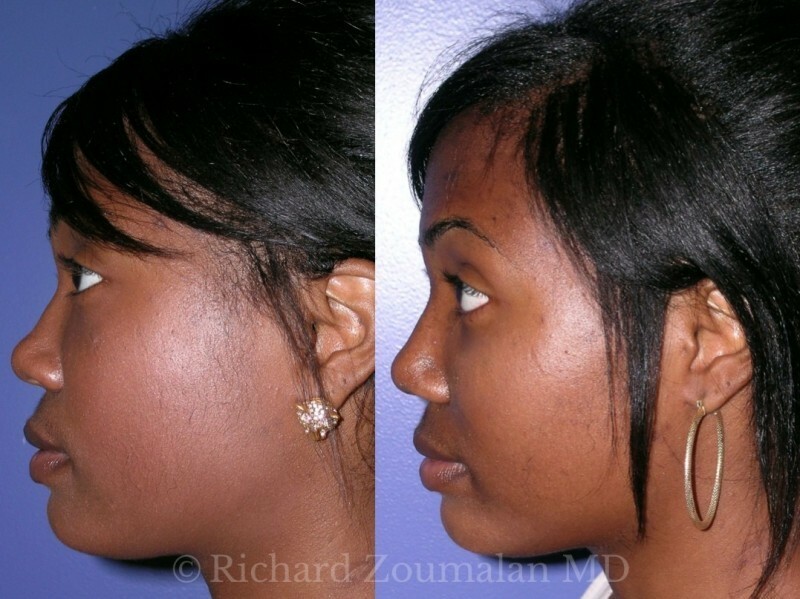 This 20 year old woman underwent cosmetic Rhinoplasty for her large tip and small bump. She wanted a straight line from the top of her nose to her tip. She also wanted her tip to be smaller and have a natural transition from top of nose to tip. She also wanted the mid-portion of her nose straightened. The after photos were taken 3 months after surgery. This 25 year old gentleman came to the office after sports-related trauma. 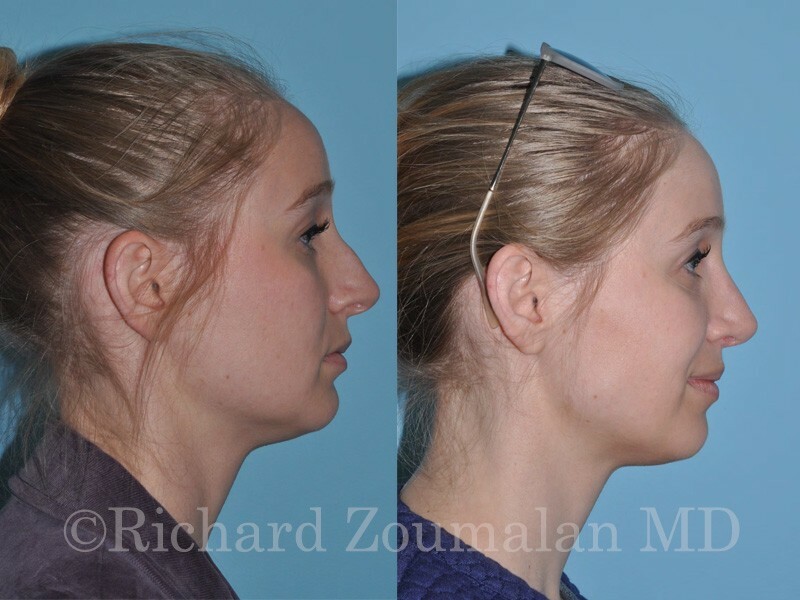 The after photos were taken immediately after moving the fractured portion of nasal bone back into position. This was done in the office with just using topical local anesthesia. He was awake and comfortable the entire time. 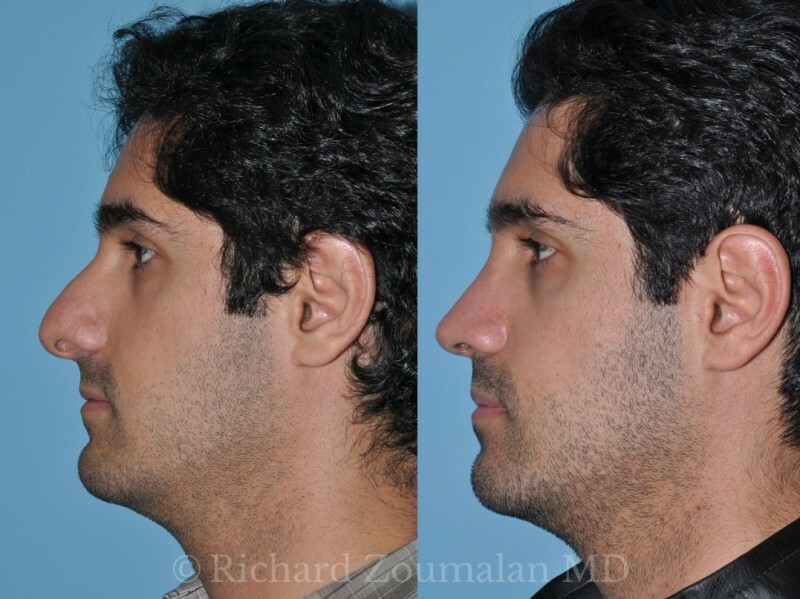 This patient underwent Rhinoplasty and Septoplasty because he had a nose that was so crooked, he could not breathe through his left side. 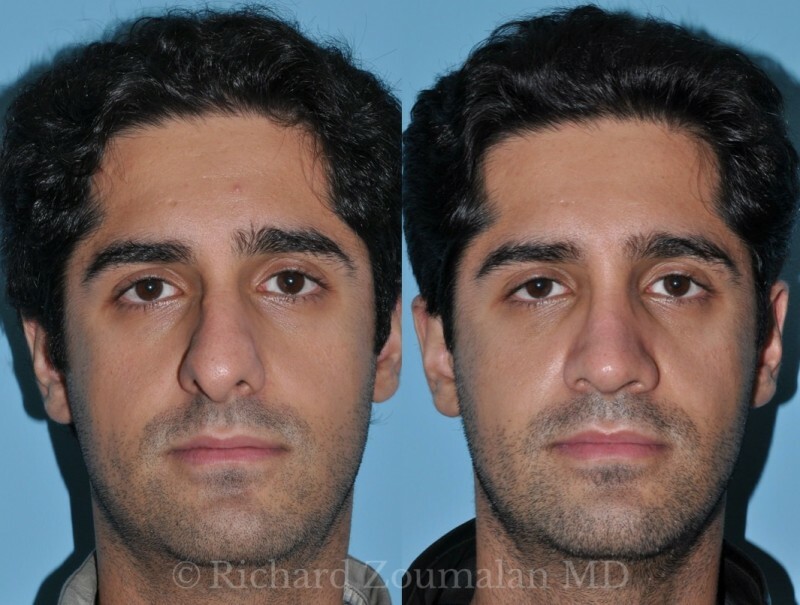 The photo on the right shows him 1 year after Rhinoplasty and Septoplasty You can see that his nose is straighter and he has symmetry of his nostrils. He also maintained a masculine shape of his nose. His quality of life was significantly improved after the surgery.